Tilt and slide wooden terrace door PSK is the best choice for larger than medium or medium sized terrace doors. These doors feature exceptional sealing properties and two opening positions. Due to its particular sealing properties, this door is ideal for buildings in severe climate zones, as well as terraces located in close proximity to sea. Wooden terrace door PSK provides easy access to the terrace, possibility to enjoy beautiful surroundings, move easily between indoor and terrace areas, and easily ventilate the room. This is a very solid window profile that has been under constant improvement since 1997. Raw materials used for production of the window have been duly certified. 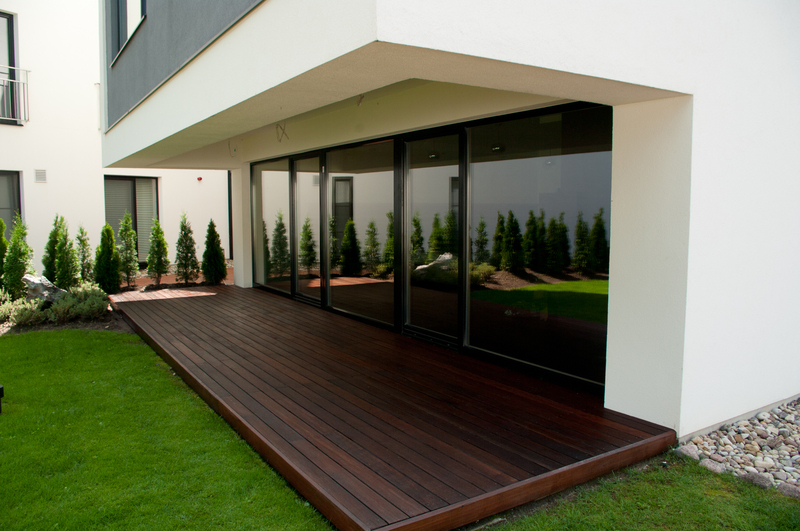 Tilt and slide wooden terrace doors. 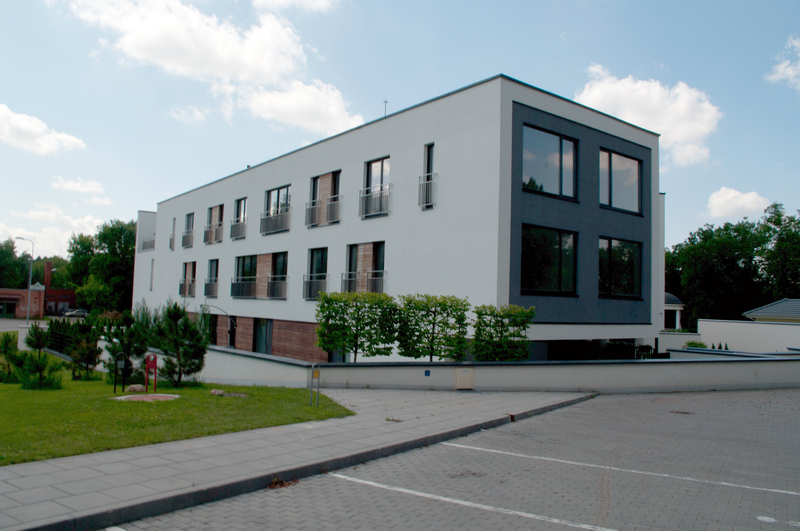 Standard option: indoor handle only – no possibilities to open the terrace door from the outside. Terrace door must be fitted with safety glass unit, either laminated (protection against housebreaking and injuries) or tempered (protection against housebreaking). Highly appealing wooden terrace door of medium or large dimensions. Modern design of the wood terrace door perfectly suits classic and modern interior. Wooden terrace doors bring more light and cosiness to home. These wooden terrace doors may come in fairly large dimensions without any glazing bars, and as result bring lots of light and aesthetics to the interior. This is the right choice of terrace doors, as non-opening sections may be selected and arranged according to specific preferences. Colours can be selected from extensive RAL or NCS palette. Terrace doors may be fitted with a glass unit made of two or three glass panes. Safety glass panes must be used for terrace doors: protection against housebreaking and injuries is provided by laminated glass panes. If it is necessary to simplify the structure of the wooden terrace door, it is important to make sure that at least tempered glass is used for protection against injuries. Special silicone is used during production to secure the glass unit in the terrace door and protect the glass unit against any microscopic gaps and mould. (3 glass panes: 2 panes provide thermal insulation, filler – inert gas). (2 glass panes: 1 pane provides thermal insulation, filler – inert gas). Ventilation is available by tilting the leaf of the wooden terrace door. Air vent can be fitted on the top of the glass unit as an option. Water-based finishing materials Teknos (Finland) are used for paint coating. Teknos paints contain less volatile organic compounds and heavy metal additives than the required minimum established by legislation relating to quality of the products. Dry paint coat is 120-140 microns thick, meeting the standards applicable for the most severe climate. Standard option: interior handle, small exterior pull handle. Option with extra function: lock fitted inside and outside the handle, in the leaf. This option enables locking/unlocking the terrace door both from the inside and from the outside. 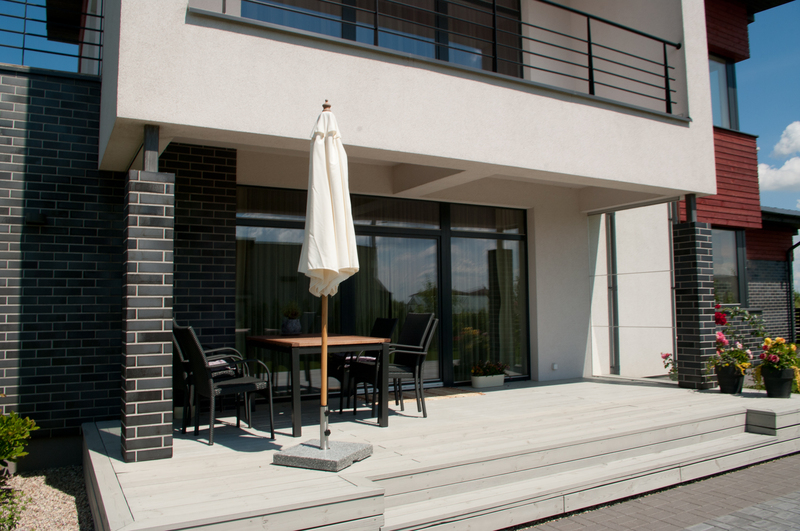 Robustness of wooden terrace doors is provided by system profile and high quality hardware developed in Germany. This product features very good static qualities and resistance to deformation, as it has been produced of timber made of glued prime radially-cut lumber. Main requirement for maintenance of wooden products: wooden parts must be treated with special wood care milk once or twice a year. Regular application of the milk will make the surface more durable, restore the colour and give the surface a more polished look. Wooden window or door may be more durable. Maximum durability of the window of door is provided by the aluminium profile that covers the window from the outside. The German aluminium profile absorbs all movements, thus eliminating any possibilities of eventual cracking. The aluminium profile also protects wood against environmental impact, yet allowing the wood to “breath” for maximum positive effect. Most other aluminium systems tend to block “breathing” ability of wood and do not protect against cracking.